Growing up, Best in Show was one of the movies I watched most with my parents. As a result, I've always wanted to see a dog show in person, and this year my mom and I finally made it to the Westminster Dog Show at Madison Square Garden. 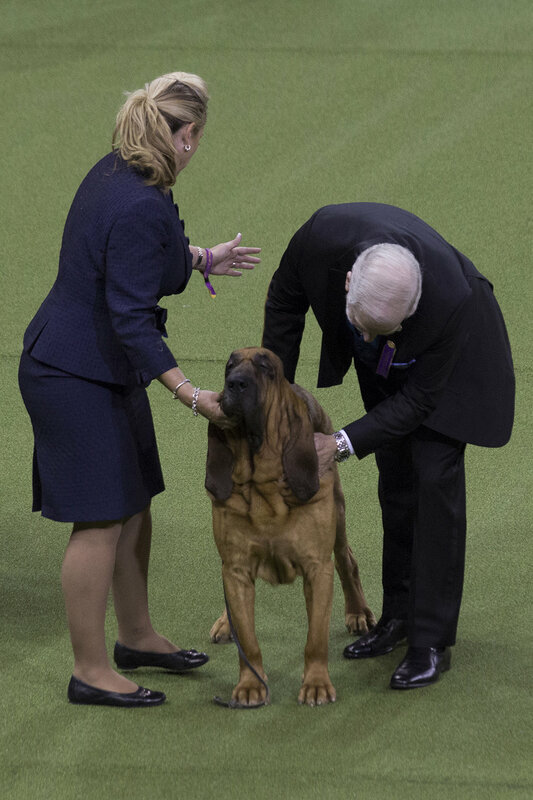 The dog show spans two nights, and we got tickets to the first night which included judging of the Hound, Toy, Non-Sporting and Herding groups. The second night is where they crown Best-in-Show, after judging the Sporting, Working and Terrier groups. Tickets were easier to come by for the first night, but it also included all of our favorite breeds so we weren't too bummed about missing Best-in-Show. We both have low-maintenance cats, but dream of the day when we can own dachshunds (although my mom will probably get there before me). 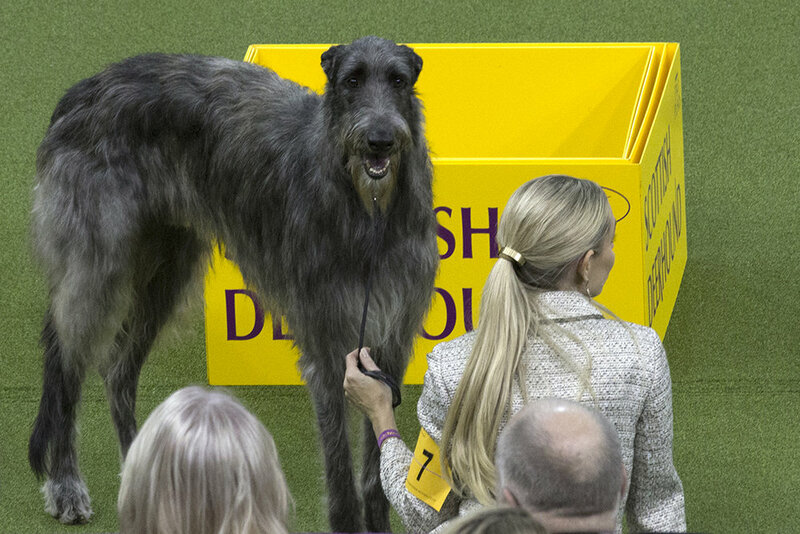 Luckily for us, up first was the hound group, my favorites of which included: the shimmery Afghan hound, the flappy Basset Hound, Bluetick Coonhound (my dad has one! ), Dachshunds (of course), Greyhound, the Ancient Egyptian Pharaoh Hound, and Whippet. In conjunction with the Westminster Kennel Club, the First Annual New York Bench Show of Dogs was staged in 1877 at Gilmore’s Garden (a forerunner of Madison Square Garden), with 1,201 dogs. The show—2018 was the 142nd one—is one of only four events to be held in all four iterations of Madison Square Garden through the years. J.P. Morgan showed his collies, Nellie Bly entered a Maltese, The Queen of England and a Czar of Russia bred show dogs and of course, Martha Stewart has entered several Chow Chows in the show and in 2012 Ghenghis Khan won Best of Breed. The second group was Toy, which includes a lot of my tiny favorites such as Pug, Chihuahuas, Chinese Crested, a shaky Italian Greyhound, the impossibly small Toy Poodle and Fox Terrier. 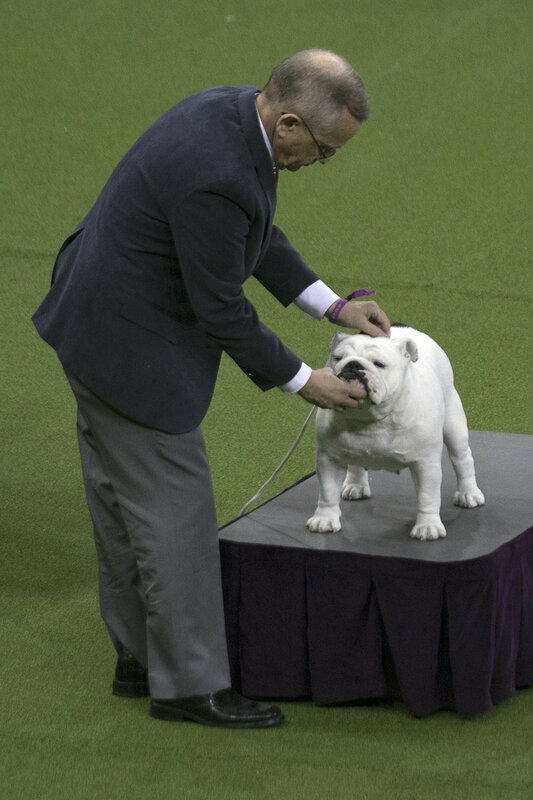 The third group was Non-Sporting, which included Bulldog, Boston Terrier, French Bulldog, Chow Chow, Shar-pei (brought back from the brink of extinction in the 1960s), Dalmatian and all-black Miniature and Standard Poodles. Our seats were better than I anticipated—19 rows behind the judges on an aisle—but I knew we wouldn't be super close (and dogs are tiny!) so I rented this huge zoom lens for the day just for fun. 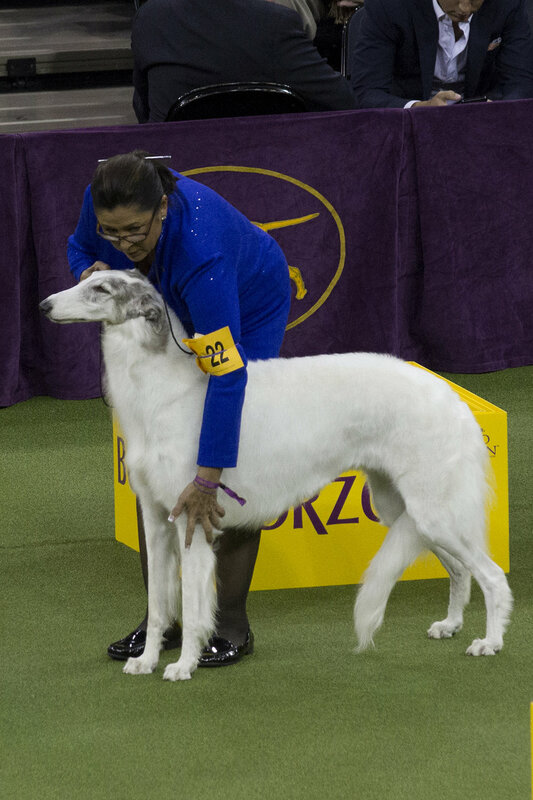 My photos aren't the best and we did find ourselves watching the Jumbotron frequently for close-ups, but I'm really glad we finally saw a dog show in person. It was super exciting for the first two groups, less so by the third and we ended up leaving halfway through the judging of the Herding group because we were tired and only recognized about half of the breeds. But we did stick around just long enough to see the Puli and the Bergamasco Sheepdog, dogs so strange-looking that they need to be seen in person just to be believed.